NASA releases a new elevation map of Pluto’s heart-shaped surface area. This newest shaded relief view of the region surrounding the left side of Pluto’s heart-shaped feature – informally named Sputnik Planum – shows that the vast expanse of the icy surface is on average 2 miles (3 kilometers) lower than the surrounding terrain. Angular blocks of water ice along the western edge of Sputnik Planum can be seen “floating” in the bright deposits of softer, denser solid nitrogen. 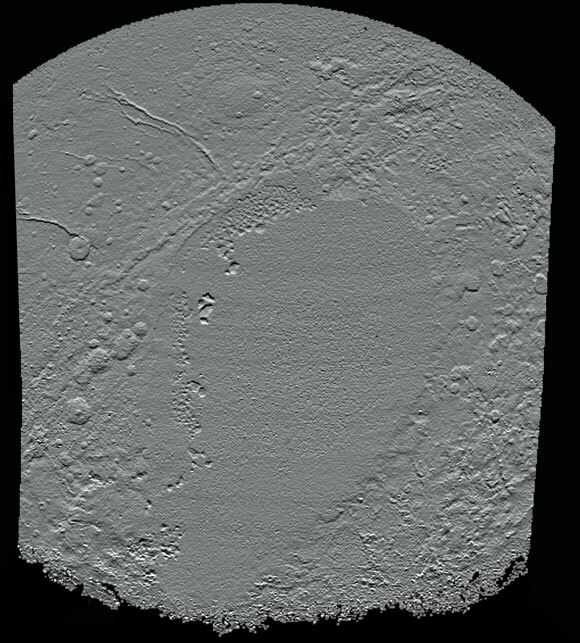 Topographic maps of Pluto are produced from digital analysis of New Horizons stereo images acquired during the July 14, 2015 flyby. Such maps are derived from digital stereo-image mapping tools that measure the parallax – or the difference in the apparent relative positions – of individual features on the surface obtained at different times. Parallax displacements of high and low features are then used to directly estimate feature heights. These topographic maps are works in progress and artifacts are still present in the current version. The map is artificially illuminated from the south, rather than the generally northern solar lighting of landscape during the time of the flyby. One of the many advantages of digital terrain maps is that they can be illuminated from any direction to best bring out different features. North is up and the total relief in the scene is approximately 4 miles (6 kilometers) from the lowest to the highest features. 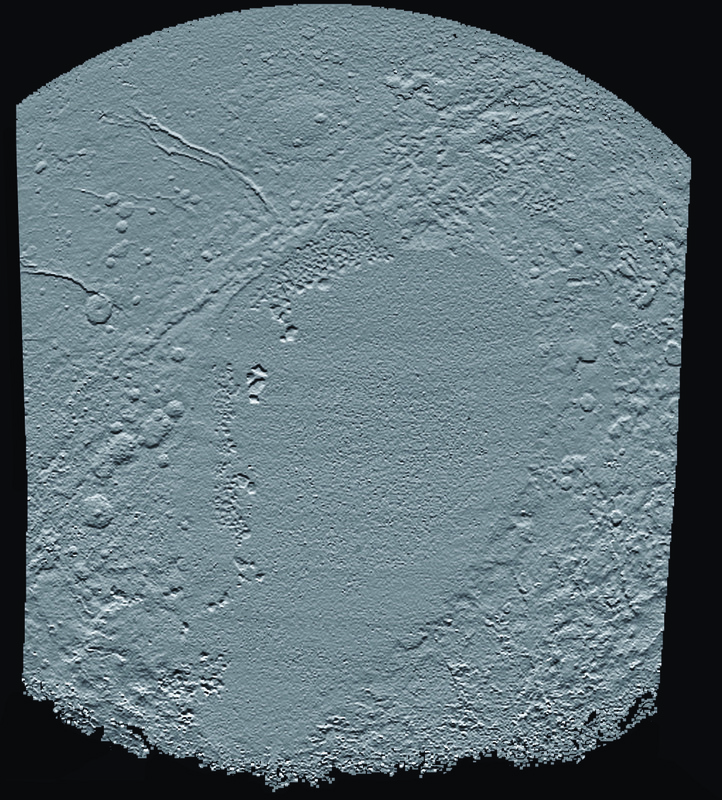 Be the first to comment on "New Elevation Map of Pluto’s ‘Heart’ from New Horizons"